Explore the country with the New 2019 Highland Ridge Mesa Ridge Lite MR2804RK! This Travel Trailer is ready for adventure! TerryTown RV is one of the best Michigan RV dealers, with our massive inventory of top quality RVs and other top quality models! See this stunning RV for yourself at our lot at 7145 Division Ave S Grand Rapids Michigan 49548, or call us at 616-455-5590 to talk to one of our RV experts today! 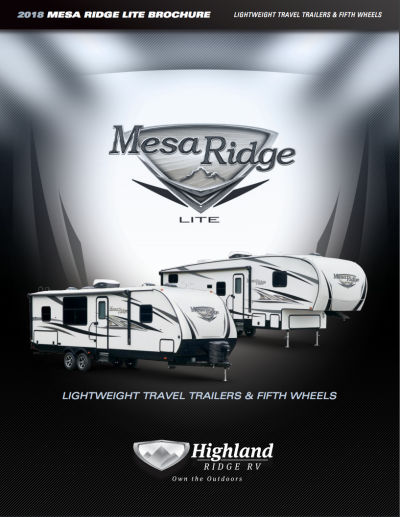 Get on the road anytime you wish in your 2019 Highland Ridge Mesa Ridge Lite! It's easy to tow with its hitch weight of 675 lbs. This RV has a GVWR of 7675 lbs. and the patio awning is 20' 0" long, providing shade and protection during your outdoor living! Cool down in the heat of the summer with the 15000 BTU a/c unit and heat things up in the winter with the 30000 BTU furnace! This RV is 31' 9" long, 8' 1" wide, and 10' 11" high, so you can walk around, stretch out, and spend time with the family without bumping your head or feeling cramped! 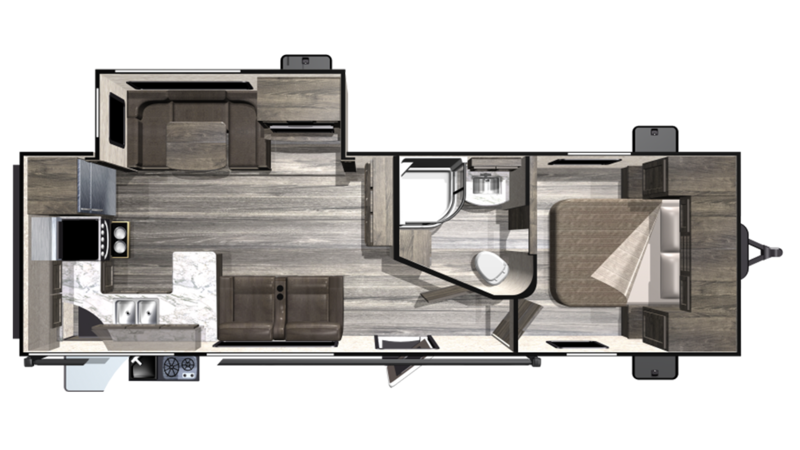 It'll be sweet dreams for you every night in the Mesa Ridge Lite MR2804RK thanks to the glorious bedroom with its handsome furnishings for clothes and sundries, and a spacious, comfortable Queen bed! A family of 4 can sleep comfortably in this RV! Stay healthy while camping with fresh meals! Cook up delicious meals for the family in the kitchen, which has a 3 burner range cooktop, a 8.00 cu. ft. refrigerator, and more! You won't run out of clean water anytime soon with the 51 gallon fresh water tank! Flush your problems away with the bathroom! Inside there is a Porcelain Foot Flush toilet and a shower! The water stay hot for extended periods of time, thanks to this RV's 60 lbs. of LP tank capacity! The black water tank has 29 gallons and the grey water tank has 58 gallons. Don't let the day's fun end just because it's dinner time! Open up the outdoor kitchen and whip up a tasty meal for the family under a beautiful summer sky! And for shade and comfort, you can eat under the 20' 0" patio awning!